Over the past two days, Wall Street has essentially forgotten about Brexit, which just last week sent markets crashing globally. So far this week, the Dow and other major indices have regained much of what was lost due to the unknowns surrounding Brexit. However, the 10-year bond yield (which generally directs consumer mortgage rates) has remained depressed. This is good news for mortgage rates, but so far there hasn’t been too much movement, despite what the headlines might say. If you actually read the accompanying release, it says mortgage rates fell 14 basis points since the UK voted to leave the EU. If you’re not familiar with basis points, they are simply percentage points, or in this case 0.14%. So a mortgage rate that was 4.625% pre-Brexit is now around 4.50% post-Brexit. That’s if the bank or lender you are working with actually bothered to lower rates. I’d hardly refer to that as a “freefall.” I’d call that a blip most people wouldn’t even notice who don’t do this for a living. On a $250,000 loan amount, we’re talking about less than $20 a month in savings. As I mentioned in that earlier Brexit post, lenders are wary about lowering rates quickly because sentiment can change just as fast. We saw that this week as the markets shrugged off Brexit. They don’t like to get caught out and lose money, much like any other business. As far as I can tell, nobody really knows what impact Brexit will have, and once traders kind of realized that, everyone began buying stocks again at seemingly bargain basement prices. I suppose they determined that any move(s) associated would Brexit would take years, and because trading is very of the moment, there was no need to continue to panic, at least not now. But the vote still stands, and the UK will eventually leave the EU (it should at least per the referendum). So that means at some point we’re going to have to wake up and face reality. Whether that’s next week or next month, I wouldn’t be surprised if we saw increased volatility in the next several months through the end of the year and beyond. And that volatility should push mortgage rates even lower. Throw in what appears to be a very important presidential election and you’ve got a perfect recipe for upheaval in the financial markets. And that’s not even factoring in global terrorism and increasing geopolitical tension. The point here is that all the headlines are screaming about falling mortgage rates, but if they’re only an eighth lower than they were last week, that’s not even newsworthy, let alone noteworthy. The thing is, rates were already very low before Brexit, and didn’t seem to be displaying any signs of moving higher anytime soon because we live in a world of uncertainty right now. Sure, you could argue just to refinance now because there’s no sense in being greedy and looking a gift horse in the mouth with rates already so low. But things like Brexit don’t just go away in a few days. We might be seeing a kind of dead cat bounce, where after some pronounced selling things bounce back for a day or two before trending even lower. I wouldn’t be surprised to see that given the potential magnitude of this decision, coupled with those other things I mentioned. The trend seems to be uncertain and that should mean lower rates ahead. Heck, even if they aren’t lower, they probably won’t move much higher either. So it seems a decent bet to take a wait and see approach. The only downside here is that you could get hurt by simple timing – if it’s a bad week when you go to lock you could get caught out. So if you’re not a risk taker and like rates where they are, don’t play the game. I waited to refinance since I last wrote to you. The best rate I have found on a refi. for 20 years in my area (upstate NY) is 3.25 with 800.00 lender credit. I don’t mind waiting it out if you think they could go lower. Please share your thoughts. Always a tough decision that only you can make. My opinion is that we’re in a downward rate environment because of all the economic uncertainty, but at the same time rates are already super low (and it gets more difficult for them to move substantially lower the lower they get) so it’s a tough one to call. We could end up looking greedy. I feel as you do, I think they will go down a bit more with all the uncertainty. This is why I waited longer to refi. I also don’t want to be greedy so I locked in. If something drastic happens I will see if lender will honor new rate. It’s worth a shot. I really appreciate people like you. At least you have our backs to some degree. As we know you don’t have a crystal ball. Need your expertise. Looked over closing cost details on my refinance and I would like you to share your thoughts. We are doing a 20 yr. refi. At the time I locked the rate of 3.25 I was told I was paying a higher rate because we were taking a 10,000 cash out. We would get a lender credit of 780.00. When I look at the closing cost detail I see that we are paying a total orig. fee of 1338.00. 743.00 is Loan Level Price adj. and 595.00 is procc. fee. The lender credits are 1485.00. I was never told about the 743.00. I spoke with the lender and she apologized for the miscommunication. I seems like a wash but I don’t like being told that I got a slightly higher rate because of the cash out and my credit score was 800 my husband is 720. Can you explain so this makes sense to us. There are pricing hits for things like cash out so if you want that 10k you will get hit with an adjustment, but it sounds like the lender credit is covering the cost. Thanks Colin, We are taking the 10,000 for home repairs. Got hit hard when back in 07 like everyone else. We managed because we weren’t in alot of debt and we don’t believe in adding debt if you aren’t able to pay for it. Putting money away wasn’t easy. Doing it this way will help. We’ve been on the fence because we’d rather have the cash that is why waiting for good rate was important. Do you think we should refinance mtg. only. 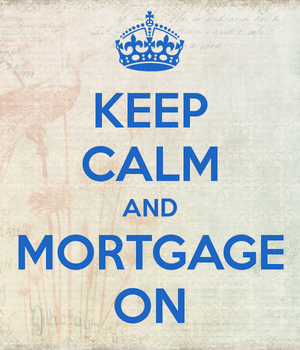 What else can you refinance? The only thing we are doing is adding closing cost and the 10,000 cash out. We have no other debt (credit cards etc.). One other thing our house value is 325,00 (I am being conservative on the number) we owe 177,000. We have 18 years left. That is why we are going with 20 and not 30. Though 30 payments were more attractive. If you need the cash, rates are very low and you likely won’t find cash this cheap via any other avenues…and it sounds like you can always pay your mortgage back faster than planned if you don’t use the cash or want to save even more on interest. I thought everything with this refi was going along well and now we were hit with a roadblock. As you know there is alot of paper work to send in. We sent everything that was asked for asap. Each time I asked how does everything look and each time I was told great. I was told that if she saw anything that was of concern she would let me know. In fact they pulled another credit report and the scores went up. We are both in the low 800s. I waited to send pymt for the appraisal because I wanted to make sure that the loan processors didn’t see any red flags. Well I am now being told we can’t take the extra money because my husbands 1099 which considers him self employed. They knew this by seeing pay stubs and tax returns. I am now out 415.00. Is there any recourse. It is obvious both agents did not do there jobs. This was the first paper work sent so they should’ve caught it then. Also I read on streamline refi page that people got a 3.25 streamline would you know what lender is offering that. I am so upset. Unfortunately these types of mistakes happen all the time and similar stuff could happen out of their control that could derail the loan, even after an appraisal was paid for. You could ask to be refunded but I’m not sure they’re obligated to do so. Thanks for your response. I guess we would feel better if the loan was derailed because of a not so obvious mistake. The pay statements and taxes were sent first and looked at by two people. It was easy to see prior to sending the money for appraisal. Will try and see if some kind of refund can be given. Do you know of any lenders with a 3.25 streamline. Wells was at 4.25. I understand your frustration…might want to shop around and see if others can get you approved despite the self-employment income and get you a lower rate. Don’t know any specific lenders offhand that offer that rate…one specific rate isn’t generally available to everyone as each borrower has different attributes that can sway that rate.